“How did it start?” Button looked over to Pa and stared hard at him. He was a man, a father, a widower and a worker. Once, she had asked him how it was possible, to be so many things and only be one person. He had smiled, which was rare and beautiful. Even though he hadn’t given her an answer, Button thought she understood enough just by looking into his face and reading the skin. “You won’t let up on the subject, will you girl?” His voice, all gravel and peat, was hard but not without soft edges. Always, Pa had been a stern man, but never cruel. He was not one for frivolity, of that she was sure, but he was not mean with his laughter, when the time called for it. “I just want to know about the old-world,” she persisted, managing to speak and hold her breath as one. It had been a frustration to her, since she had been old enough to entertain her own thoughts and philosophies, to know that the world, as she saw it, was not the world as it was in her Pa’s early times. “I suppose you should know something of it,” he remarked and leant back in his holding. Each of them was suspended in the high oak tree, harnessed in place, but not without comfort. The height, which had frightened Button to within an inch of screaming at first, had now, over time and practise, become second nature, as natural as breathing. She moved a little, no more than fidgeting really, the gun still taut on her shoulder, the sights and mechanisms still in place, if the situation called for an abrupt action. It was a place for hunting whatever came their way from a position of strength, but also something else, something better. With height came a degree of safety from the things that roamed in the woods. It was, in a lot of ways, her favourite place in this broken world. “Foolishness and pride,” he said, and tapped the pipe end once before stuffing the ashes back into the hole. Button frowned, knowing her disapproval would never be enough for him to stop, but then shifted her expression back into openness, ready to absorb every oncoming word. It was rare for Pa to speak at length; Button had only counted three times of any real significance and was prepared to greedily smother and store each word she was offered. Her first memory of Pa was of him cupping his giant, paw-like hand over hers; it was a feeling that had never left her bones. “Greed, pure and simple; trinkets and such all valued highly but worth nothing, when it came down to it.” He touched a match to the opening and a spark lit into the air around his fingers. A small puff of smoke climbed into the sky and joined the masses of lacy dark plumes above them. Button took a moment to gaze out into the messy tangle of the horizon. It was an oily green, with great swathes of magenta and yellow cutting through it. Once Pa had told her about such things as stars and a piece bigger, called the moon. It should have been a fable but he told it with such solemnity, to the point where there was a watery trace of a tear around his eyelids, that she did not doubt the telling was true. Pa’s words held sway and she wondered, secretly, if in the old life he had been a speaker or a leader. Every word held gravity, as if it left his lips with purpose and reason. “Folks lost sight of what was necessary and what was superfluous. Came to pass, that people started killing over nothing, until killing came to be a matter of course and kindness was the action that stood out due to its rarity.” He lifted a thumb and forefinger to his lip and squeezed it once, as if it were a lemon. Button knew he did this when he was searching for the right words, as if squeezing the skin would offer up more clarity or knowledge. In, time, Button knew, it was an action she would mirror on becoming an adult. “A man would use religion to kill his brother and hide behind a pamphlet to say it was just. People would have blood on their knuckles and wipe it clean with money.” He drew down his finger and thumb and settled it back onto the rifle, as if the people he spoke of now were likely to appear in the clearing at any moment. Button knew they were ghosts, the people Pa spoke of, but even so, she tightened her own palm around the trigger guard, as if primed for an attack. It had occurred before and would again, one night or the other. “God,” Button said, easing her hand off the weapon. Pa had given her a dusty, burned at the edges copy of the Bible one day, not offering a word of explanation. Usually, whenever they went hunting for books, he would give a clean, clear explanation of each book discovered, letting Button weigh up her desire to either read it up or use it for fire. On that occasion he had demurred from speaking, silently but pointedly allowing her to make up her own mind on the matter. “Depends on who you ask,” was all he said and left her with that, that open interpretation. Button mostly liked truths, what Pa called factuals; every one of the pages a strange window into the broken past. Sometimes she liked the lies, the fictions, as Pa called them. These books left her scratching her head; a lot of what Pa swore was a story - the killing, the weapons, the ever changing skies - seemed more real than the fact books. “So it came to pass…”Button said, floating the words in the air, letting Pa return to his original train of thought. Whenever God was mentioned, it sent him off into a peculiar practise of being there and not being there. When he went into one of these God-trances, Button half believed she could have reached out and ran her hand straight through him, like vapour, such was her conviction that a good part of him had disappeared. God, this character that she had read so much about, who crossed between the fact books and the fiction books so often that he seemed to be in both, made her feel furious and safe at the same time. If Button were ever to meet him in her dreams, like she did Hamlet, Spiderman and Sherlock Holmes, Button imagined delivering a hard blow with her fist and then running her palm softly against the bruise to make it better. She wondered in the times when she allowed herself to get lost in secrets amongst the flickering embers of the fires some nights, if she wasn’t in fact, a little in love with this character, God. “So it came to pass that people let greed shape souls and fist. Men and women, and children, too, forgot their hearts; took whatever it was they saw fit to take.” Pa shook his head and the sorrow in his eyes looked heavy enough for three to carry. “On it went, until the world became bloated and nothing would be denied. And when nothing is denied, then no soul ever has to say ‘sorry,’ or ‘forgive me’ or even simple parlance, such as ‘please’ or ‘thank you.’ Well…when those words became lost in the world, anger took its place.” The sorrow filtered out of his eyes, to be replaced with a slow burning fury. Button flinched, though she had no doubt for her safety, seeing the anger in his eyes. She wondered what this world must have been and what it had lost, to make a man turn from one emotion to the other, and reach such heights on either scale. “It got so people fought and when they couldn’t fight no more, they built things bigger and more hateful than human skin and used those things to hurt and kill.” Pa pinched his eyes, as if a speck of dust had found its way in there, under the wide brim of his hat. Button knew it wasn’t so, that both she and Pa had developed hard lids against all that dust and ash in the air. Some folks were born heavy lidded now, almost looking like frogs, it was so pronounced on their features. “Were the bombs bad?” Button asked, swallowing hard. She glanced out to the sky and squinted hard at the traces of ash that hovered in it; it was what she had always known, but for one strange and wonderful moment she imagined it differently; the air clear and everything unclogged and not tainted. “Some said it was like God’s fists ramming against the world, or His own heart attack, even. Me, all I remember is the fire and how it seemed to burn every thing of beauty put on this earth. It was something, to see, the planet scorched and on it’s knees. I once saw a bridge of legs; all gathered and stacked like timber…” Pa hummed, as if remembering a beat of a song, or a rhythm from an animal’s mouth. Button supposed it was the sound grown-ups made when they recalled memories, even against their will. “I suppose survival was the only real thing but sometimes, afterwards, I think of it as something else, something akin to living in a Hell where you recognised neighbours as they burned; a private bedlam and one of our own making, when it comes down to it.” Pa glanced over and looked hard at Button. It was rare for him to look away from the clearing and even as Button held his eye, another part of her wanted to look back at the fields, to make sure nothing came out of the dirt or the mists. In the next second, his eyes were positioned back onto the clearing, his rifle righted and rock-like in his arms. “A lot of folks talked about guilt, the guilt that comes with surviving, but I don’t suppose that applied to all people. I think what I felt most was regret, regret at what was gone and what I knew would never return. It was a hard type of certainty I felt, like a sliver of granite stone lodged in my heart, like a pick. It made me walk heavy for a time, slumped almost, as if carrying a weight.” After Pa tapped out the ash, he paused, as if weighing something up in his mind. For a moment or two there was a silence that Button felt obliged to fill, but just at that vital moment, Pa cleared his throat and continued on with his story. “And after?” Button’s voice became small. Ma’s passing had been discussed between the two of them on one long night, with a steady fire, and had not been touched upon since. Button had watched him that night, as each memory turned and sculptured his features, from love to misery, despair to joy. Since then, Button had wondered what type of woman, what type of creature, could have so bewitched her Pa. She had taken to thinking of her Ma as a mixture of woman, goddess and white witch; something of one world and something of another, deeper than this simple planet. “So nothing good came of it, the aftermath of it, I mean.” Button’s voice stammered, filled with raw emotion, as chaffing and brittle as the bark she rested upon. Button felt a wave of sorrow slip over the body. She often regarded herself as the reason for her Ma’s passing, though Pa had always denied the case. Once, he had dismissed it with logic and another time, with a fierce plea for Button not to think of herself in such terms. A part of her allowed herself to be convinced of Pa’s words, while another secretly harboured the idea her birth had weakened Ma sufficiently for the sickness to take hold and take her into the ground. In their brief time together, Button recalled the light that seemed to emanate directly from her Ma’s heart, too. It seemed a gift while the organ beat and a curse once it fell into terminal decline. The light it offered burned so bright, its loss seemed to leave the two of them in a state of perpetual half-shade. “Oh, I imagine some good came of it in parts of this world. For my own self, I received both you and your ma. I once saw a gallery of red kites hoisted into the air, right around the time you were born, which I took as a sign of grace and hope. I led you and your ma through a field of roses once and it felt, to me, something akin to Heaven.” He reached into his chest pocket and pulled a single coin-like circle from it. He offered it to Button without looking away from the field. She held it between her fingers; it had a brittle texture to it, but underpinned by a softness that almost clung to its surface. “It’s a rose petal from the field. After her passing, I kept it close to me, as close as I did your hand. I held onto that brief episode to offer me respite from the hurting and inspire me well enough to think of the future. I’m sure, with luck, others have felt the same fleeting moments and that has given them enough energy and vitality to keep on with their work and their tasks.” She handed it back and he slipped it into the shirt pocket in one smooth motion. “I think it’s time to finish, Button; with this talk and this task. Nothing will come at us now, not as the cold falls, as it will do soon.” He moved from his position and began shifting the ropes into a ladder. Button twisted and turned her own harness and did the same. Sometimes, she almost wished something from over the clearing would come into the fields, if only to confirm her past nightmares had the balance of truth about them. Pa glanced over and nodded.  He descended at a clip, the rope squeaking as it rotated. Button peered out to the oily sky for the last time that night as Pa slowly freed himself. It was a thing of chaos, this sky, she supposed but it was the only one she had known. Once, she had tried to imagine it as described in her cherished books: a thing of blue streams and puffed clouds, but even as she tried to summon up such images, they collapsed under the weight of her rational mind. She was not a fraud and would not deign to be one, in this life or the next. Instead, when such daydreams buckled, she instead sought solace in what she had. One eye closed, forming a wink, she admired the toxic sky with first the right and then the left. In this way, she saw a beauty in the chemical smears that ran across the horizon and smiled at the flood of colours, no matter how twisted, that interrupted each sunrise and sunset, whether it was blood red or sickly, mustard yellow. It may have been a diseased landscape she was witness to; perhaps it was even a sickened thing - dismantled, corrupted and wrong. It was, in her heart she knew, all these things, but it was still her world and the one she would die fighting for. “You ready?” Pa’s voice was as much a command as a question and Button loved him for it. It may have been a broken place they lived in, but she was safe in it because of him, and for that she was grateful. For all he had seen and all the memories he retained, Pa could have been a monster, an embittered, twisted devil of a man. Instead, he was none of these things, save for her Pa and true. “Ready,” she said and checked the rope with a single tug. In the next moment, Button leapt into the sky, fearless to monsters that lurked close by and exhilarated by the promise of the new day, the chance of freedom and hope. Chris Castle is an English teacher in Greece. He has been published over 300 times and has been featured in various end of year and best of anthologies. He is currently writing a novel. His influences include Stephen King and Ray Carver. He can be reached for feedback at chriscastle76@hotmail.com. 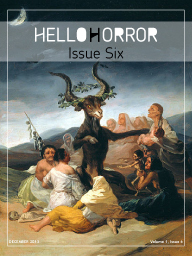 Chris has become a regular contributor to our journal: His stories, Grid, Slumber, Last House on Vector Street, Stealing Three, and Zombie Cake, all consecutively appear in the January, April, June, August and October 2013 issues of HelloHorror.